Abundant sunshine. High 74F. 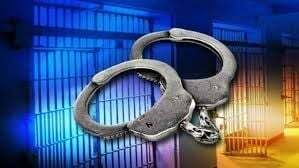 Winds W at 5 to 10 mph..
WHITE SWAN, WA - On March 7, 2018, at approximately 10:50 a.m., Yakima County Sheriff’s Office deputies and officers from the Yakama Nation Police Department were dispatched to the 1200 block of Shaker Church Road regarding a possible assault. The call information indicated a man was walking along the roadway with bloody clothes. Responding units were able to find the male victim at a nearby house and determined he had suffered cuts to his left forearm and his left shin. The wound to the left forearm was still bleeding significantly. A deputy administered first aid by applying a tourniquet just below the elbow. The application of the tourniquet was able to control the bleeding. The victim told the deputy he had been an overnight guest at a nearby house when he was attacked by the male suspect. The suspect had been dating a woman who lived at the house. Fire and ambulance arrived shortly after. The victim was transported to a nearby hospital for treatment of his injuries. Later that night, the suspect returned to the house where the incident occurred. The resident called law enforcement knowing they were still looking for the suspect. The suspect was taken into custody without incident and later booked into the Yakima County Jail for Assault 1st degree. The weapon was not recovered. The victim’s injuries are not considered life-threatening. The victim is a 33-year-old Native American male who resides in White Swan. The suspect is a 31-year-old white male who also resides in White Swan. The investigation continues with the Sheriff’s Office being the lead agency as the suspect in non-enrolled. No names are being disclosed at this time.